This integrated campaign focused on Southern New Hampshire University’s online business programs – which made up about half of the institution’s offerings. The out-of-home placements targeted airports in top markets in California and Texas, while the digital and social ads reached a national audience. 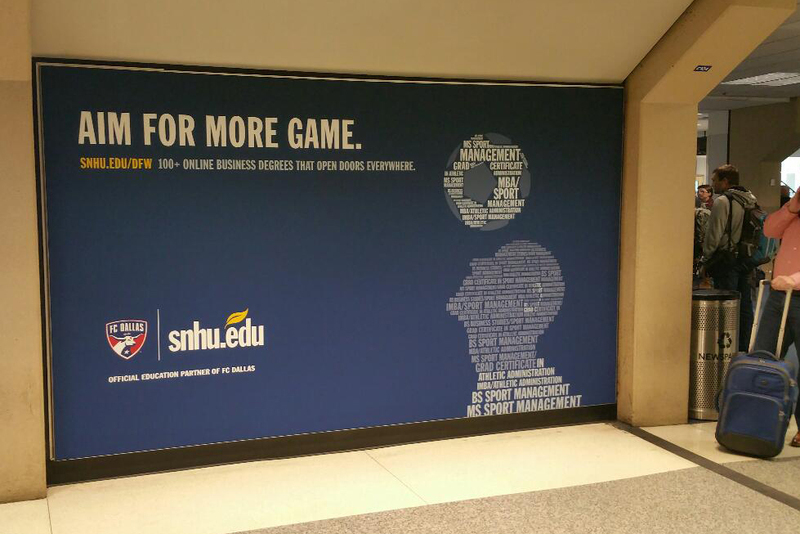 The goal of the campaign was to capture breadth, so the names of all of SNHU’s business degrees were used to build typographic portraits of its programs, including IT, healthcare and sport management, along with skylines specifically designed to resemble Dallas and San Diego.